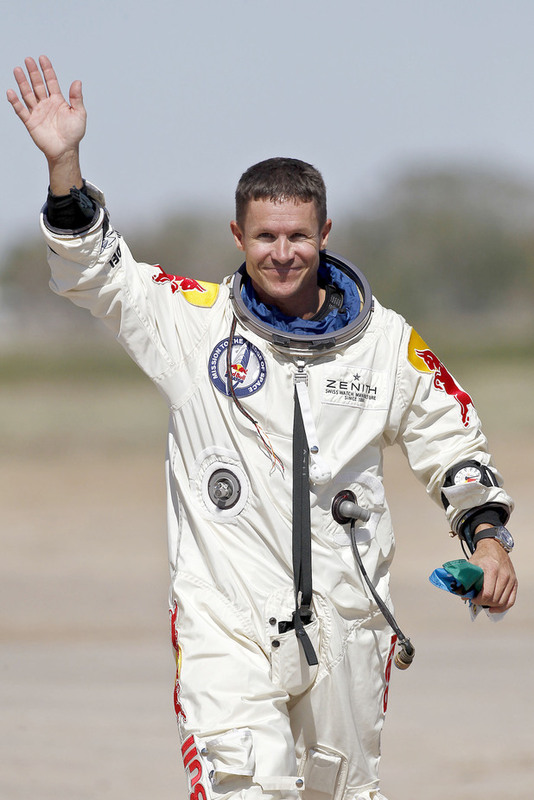 Felix Baumgartner - first man diving through the speed of sound! Austrian (daredevil) skydiver Felix Baumgartner is since october 14, 2012 known as the first man who 'dived' through the speed of sound - during a world record skydiving at an estimated 39 kilometres (128,000 ft) height. During his jump he was able to reach an estimated speed of 1,342 kilometres per hour (834 mph)... that is over three-times the speed of sound (which is at sea level = 340.29 m / s). His hands belong to the earth (+fire) hand shape type; all zones of his hand well-developed (with the exception of his 3rd finger); and his hand lines are well developed as well. It's a typical combination seen in 'daredevils'.